Jordan and Kyle wanted a small, intimate ceremony that focused on bringing their families together and celebrating their love. 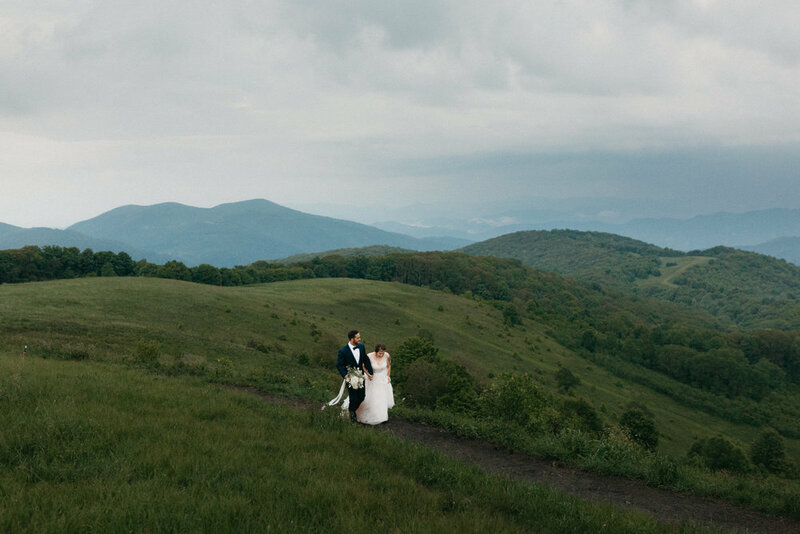 We planned for sunset at Max Patch on the Appalachian Trail, and I walked Kyle halfway up the trail for their first look. On my way back down to get Jordan the sky completely opened up; lighting, thunder, and of course sheets of rain. 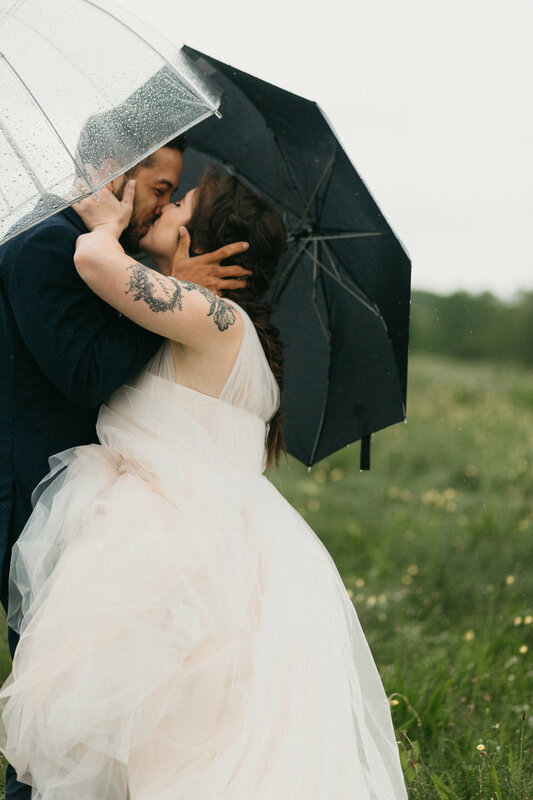 After talking with everyone we decided to wait out the storm and were so relieved when it passed, giving us just enough time for their ceremony and photos. The couple opted to read letters to each other privately, detailing their vows and excitement for the future. I was so touched by how emotional they were. I love this idea because it gives you the chance to voice your deepest promises to your loved one without an audience.. and really gets to the heart of the commitment they are entering into. Afterwards, we all hiked up to the top. Jordan’s father officiated their ceremony and Kyle’s father spoke as well. We shot some photos as the sun was setting and hiked back down the mountain. It was a beautiful day full of love, and you can see from the smiles on their faces they didn’t let the rain delay affect them in the slightest. 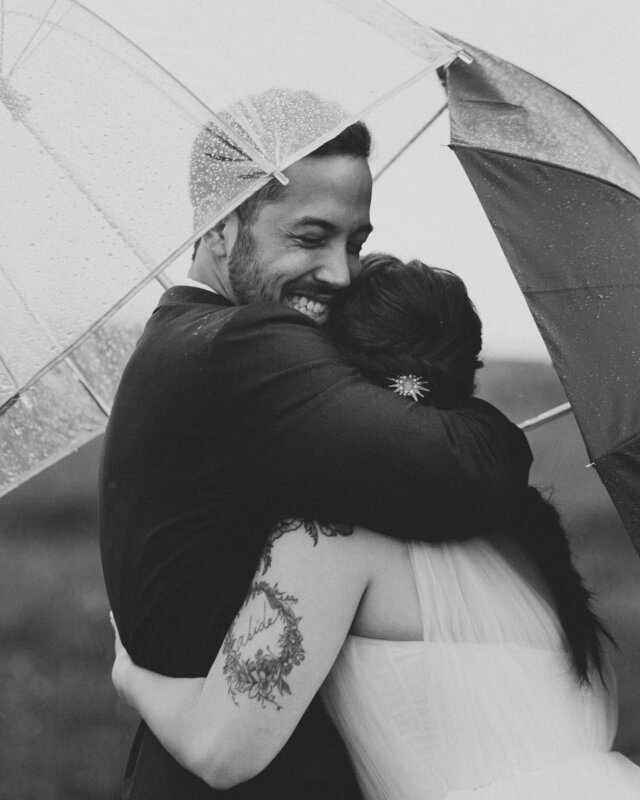 Are you thinking about eloping? Check out more photos from their day, and Jordan’s best tips, over on 100 Layer Cake.